The American delegation has recently returned from their program trip to Tunisia and Morocco, as a part of Professional Fellows Program (PFP). 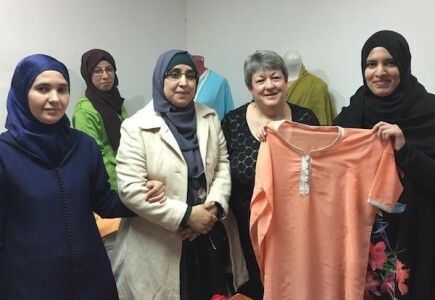 In Morocco they visited different NGOs and Cooperatives as well as delivered trainings on project planning, proposal writing and capacity building in Rabat, Marrakech, Agadir and Taourirt. Even though the Moroccan program was very intensive, delegates enjoyed meeting with PFP Fellows and learning about their follow-on projects and how it changed their community’s life for better. 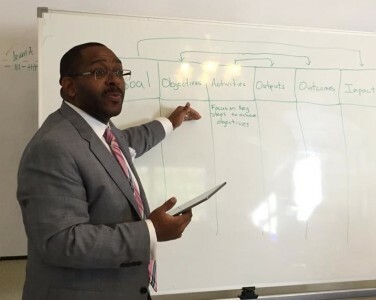 Arthur Cutler during the training on “Organizational Management, Strategic Planning and Resource Development” in the Bridges Center, Rabat. Brooke Stedman also mentioned a visit to the Women’s Cooperative in Oudaya and the Women’s Argan Oil Cooperative in Agadir as highlights of the program. “I found their work very inspiring and was grateful for the opportunity to give something back, whether it be through professional development training or financial support”. “In Morocco I realized there is a significant disparity in the needs of women to be empowered within their communities. These capacity-building needs ranged from learning how to read and write, to changing society’s preconceived notion of gender roles within society. From what I gathered, these needs were based on the individual’s socio-economic status and level of education. I walked away realizing that any development or governance programs geared toward Moroccan women need to be individualized to fit the needs of the target community (i.e. going to rural areas to teach leadership training isn’t helpful if illiteracy rates are high and the sole concern is providing food for the family). I also learned that the needs of NGOs in Morocco were quite fundamental and with a few trainings/workshops on basic skills they would be able to make great progress in their work”. Arthur Cutler added: “I also learned more about the struggles of starting up a democracy in its infancy”. 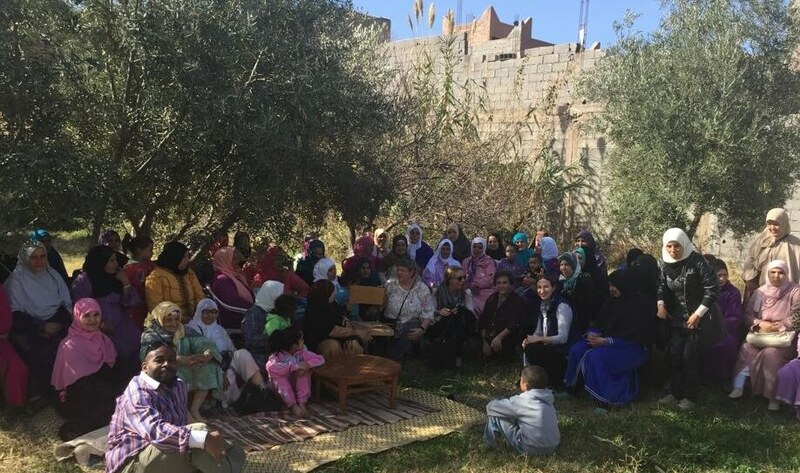 American delegates meeting with over 80 women from Women’s Cooperative in Oudaya. It was true exchange of knowledge, experience and culture between Legacy, American delegates and PFP Fellows, Moroccan NGOs and people. We believe it will lead to successful cooperation and significant positive changes in the future.